Donn Beach was the father of the Tiki bar and the Tiki drink, both of which debuted in 1934 at Don The Beachcomber’s in Hollywood. Almost all of his wildly popular faux-Polynesian “Rum Rhapsodies” had Caribbean roots, such as his 151 Swizzle, which used an electric blender to mimic the centuries-old West Indian technique of churning drinks with a spoked twig whittled into a “swizzle stick.” Ernest served his swizzles in a specially made metal Swizzle Cup -- a sleeker, sexier version of the traditional silver Mint Julep Cup. 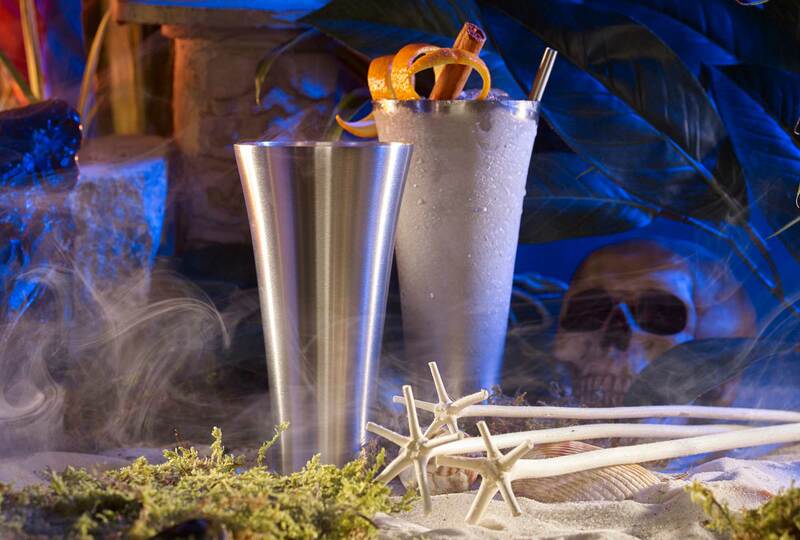 Just as they copied the Beachcomber’s drinks, rival Tiki restaurateurs copied his signature serve. By the 1950s metal Swizzle Cups frothed with exotic cocktails from coast to coast. Expensive to make -- and to replace when customers ran off with them -- these cups disappeared from Tiki bars by the 1980s, replaced by standard Collins glasses. 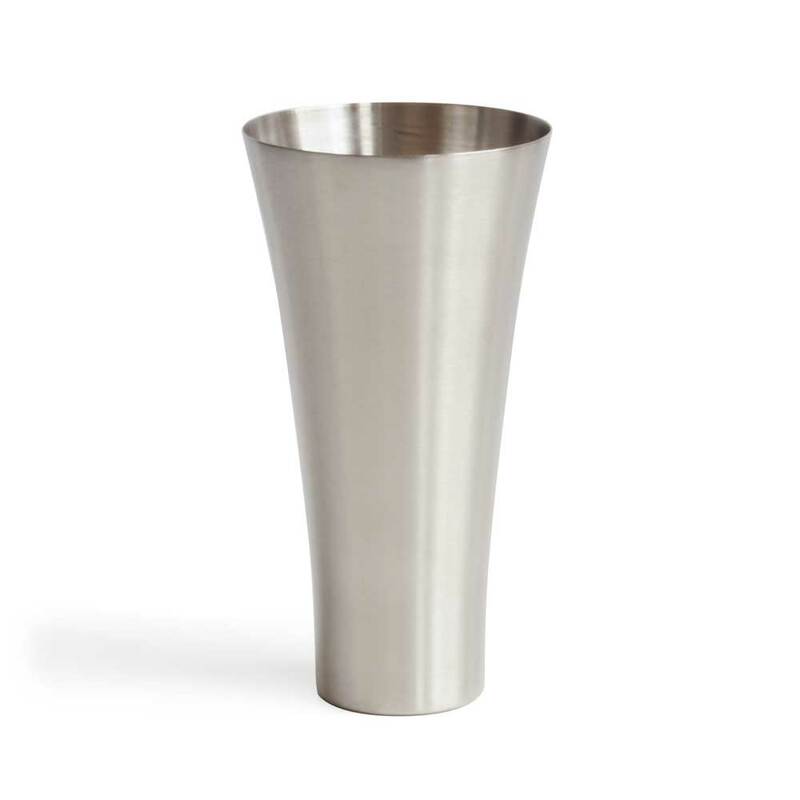 Now Cocktail Kingdom has brought back the long-lost Swizzle Cup of Tiki’s past, with this updated version of Don The Beachcomber’s bespoke vessel: even sleeker and sexier, made of light-weight stainless steel. You can use your Swizzle Cup for any julep, cobbler, swizzle or other long drink, but the Beachcomber filled it with his 151 Swizzle. To make one: Into an electric blender put 1/2 ounce each fresh lime juice and sugar syrup; 1 1/2 ounces 151-proof Hamilton Demerara rum; a dash of Angostura bitters, 6 drops Pernod or Herbsaint, and 8 ounces (1 cup) crushed ice. Flash-blend at high speed for no more than 5 seconds. 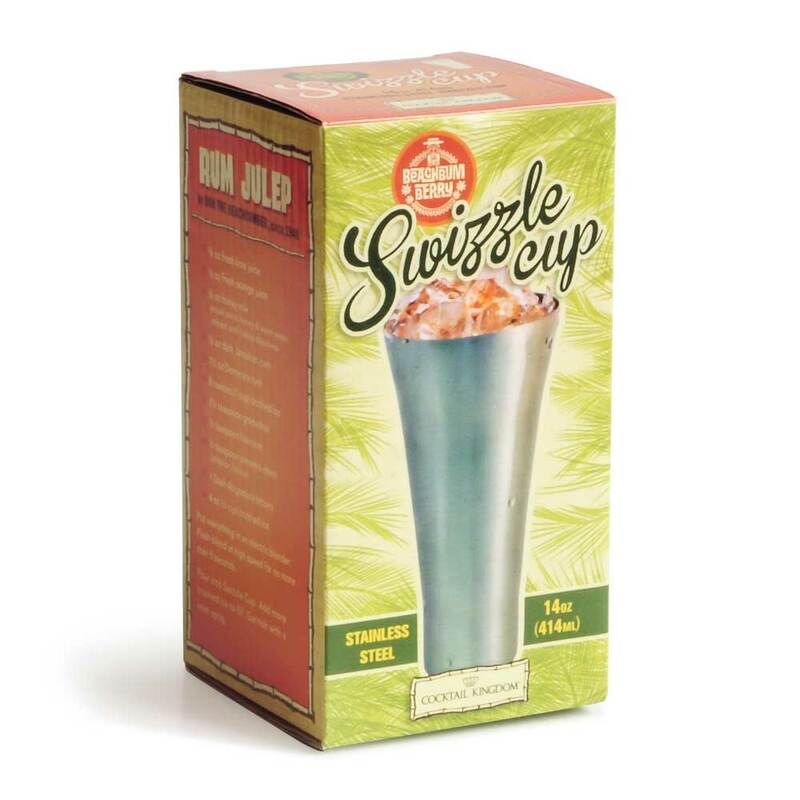 Pour unstrained into Swizzle Cup, adding more crushed ice to fill. Dust with nutmeg. Garnish with cinnamon stick.